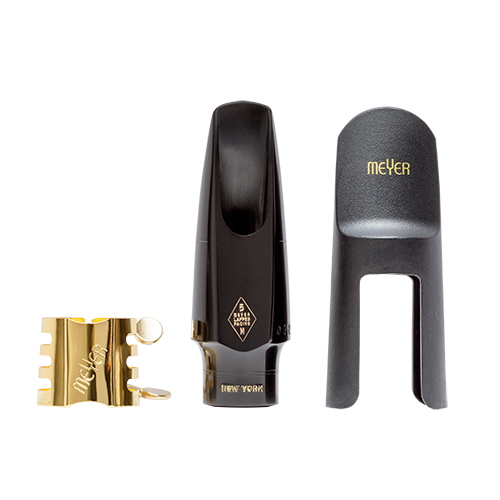 The popular NY (New York) Meyer mouthpiece for Alto sax is being introduced by jj Babbitt in commemoration of their 100th anniversary. A favourite among Saxophonists who seek out this classic design, it is now back due to player requests. This is the original free-blowing NY mouthpiece with superb control and playability. It fills a niche to complete the Meyer lineup and will enable saxophonists from students to professionals to achieve what they’ve been looking for – in both sound and comfort – while performing. It’s great value, too! There's no need to search out a vintage mouthpiece that has been modified or is massively overpriced, you can get exactly that design, size and material now from new...and in multiples with excellent consistency!